Sales force optimization and deployment is based upon the same approach that has been used for the past 15+ years. Sales reps are still focused on delivering a scripted message for their brands with little recognition of the portfolio value of the physican or knowledge about what the customer is interested in hearing. Pharmaceutical companies are still organized by brands, and brand teams are organized by marketing tactic; no one in the organization has a total view of the customer. 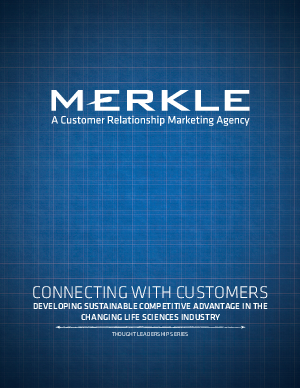 Download this white paper for an even deeper look into the growing question surrounding the pharmaceutical industry--If customer centricity is so widely accepted as the business model that can unlock significant financial gains, why are companies so slow to adopt it?